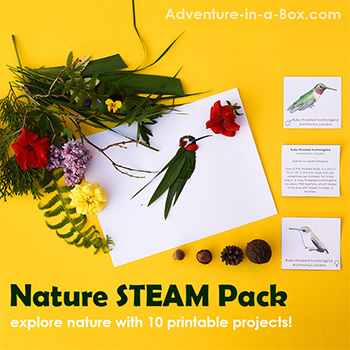 A fun and simple way for kids to make art and practice writing with nature in the summer! 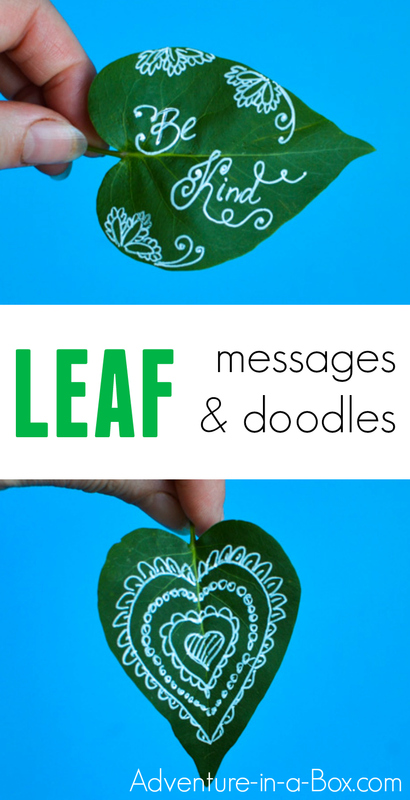 Don’t these leaf messages look as if they were left by fairies? That was the idea, anyway! 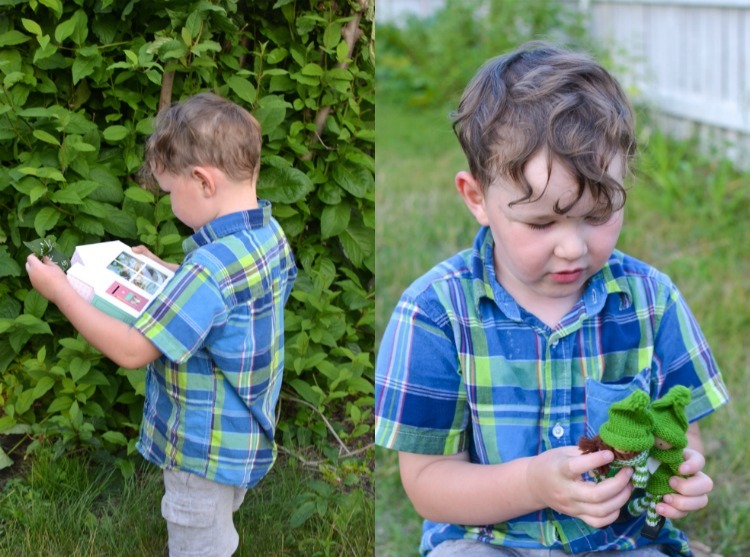 The leaf messages introduced my son to his kindness elves. 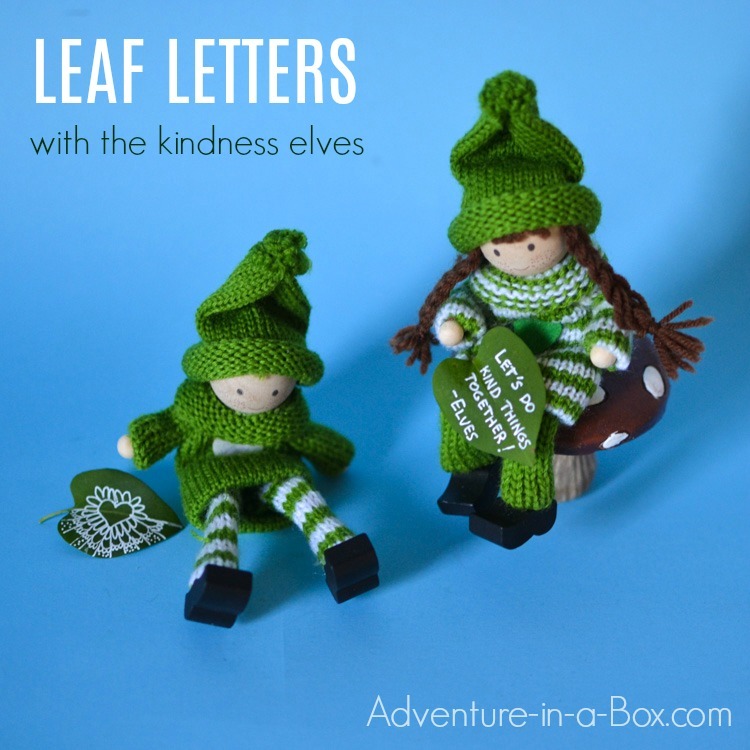 In case you haven’t heard about the kindness elves, they were invented by Anna from The Imagination Tree for her family as a gentle alternative for the Elf-on-the-Shelf. 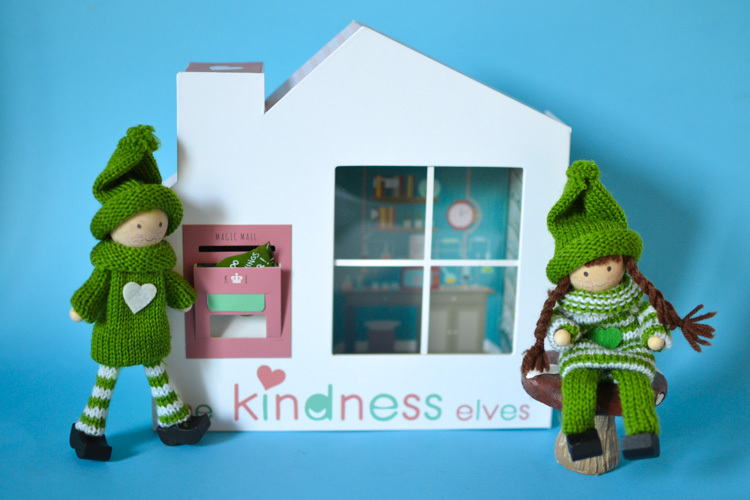 The kindness elves come with a little house that has a postbox. Inside children find ideas for small acts of kindness they can perform (send a card to a friend, do a favour to a neighbour, say something nice to a family member, etc.). Of course, kindness is hardly limited to Christmas time, so soon the kindness elves became all-year-round friends for many children. 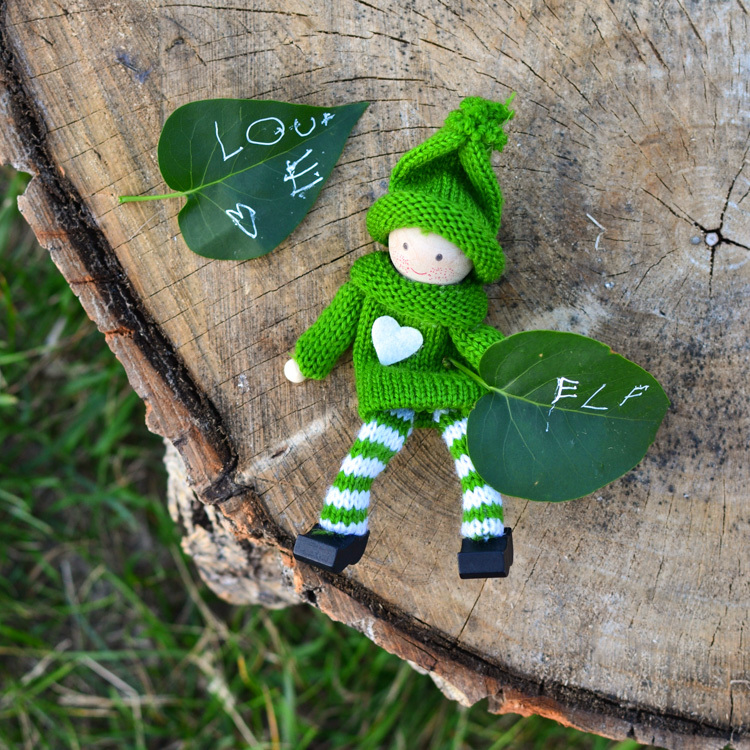 On their blog, the kindness elves offer a lot of ideas for acts of kindness for different occasions, and the little letters can be printed or used as inspiration, but you really only do what is relevant to your children and family situation. 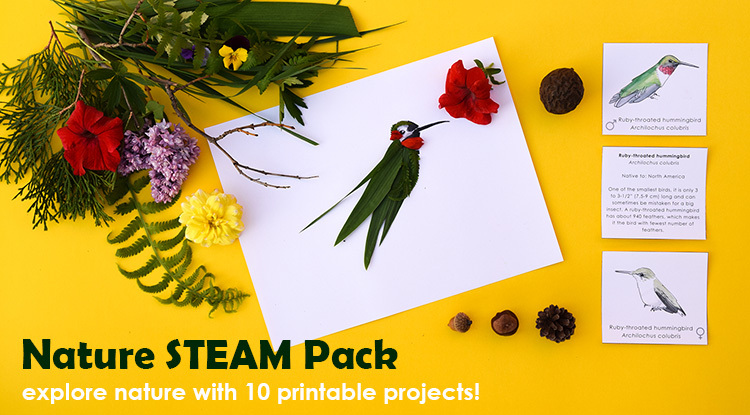 So, here we have magical creatures, a surprise every morning, mailing letters, and spreading kindness around… All the things that children like! At least, my son does. I was looking forward to starting the magical mail in our house, and the opportunity presented itself when Anna wrote that a few of the new elves are looking for a home. They are tree climbers, forest explorers, beach diggers, wave jumpers, leaf throwers and puddle splashers! They care for the environment and all animals, both wild and pets at home. They take a special interest in the plants and flowers, cultivating their own beautiful gardens to bring happiness to others! 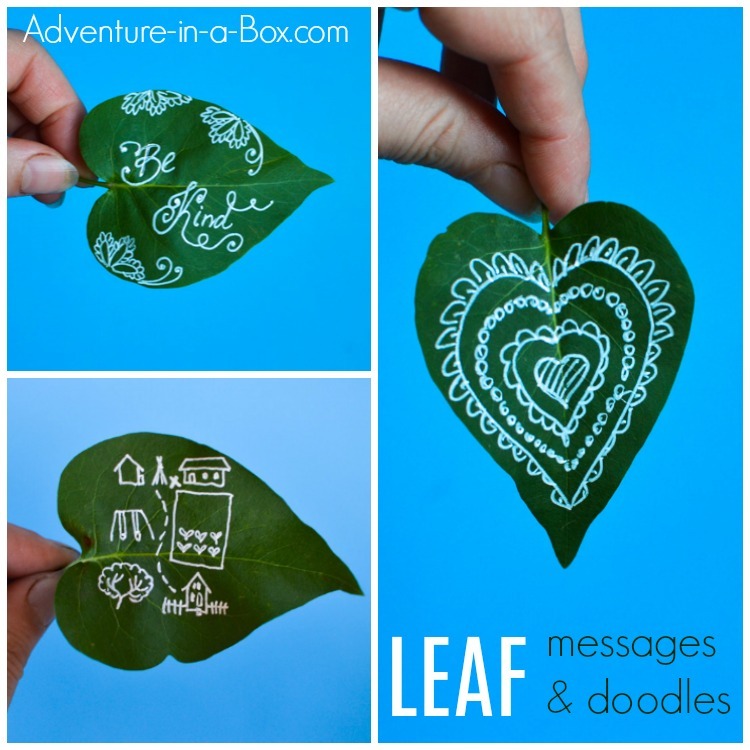 I quickly imagined these woodsy creatures, living in the garden and writing their messages on leaves… And that’s how my son began getting letters from the elves. Do you see the leaf letters hiding in the mailbox? This was how Anselm found the elves for the first time! But before that, he had to go on a treasure hunt because the little elves left him a chain of clues and maps, so that he could find their house. He loves treasure hunts, so I thought that it would make their appearance especially magical and fun for him. 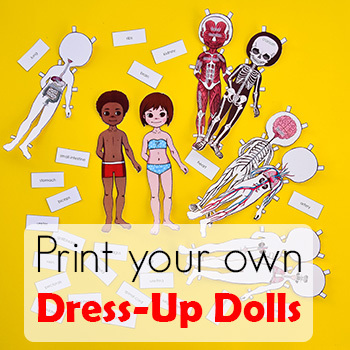 The little wooden dolls are truly adorable in their knitted outfits. They can also be posed in different ways! I think I liked them as much as Anselm did. 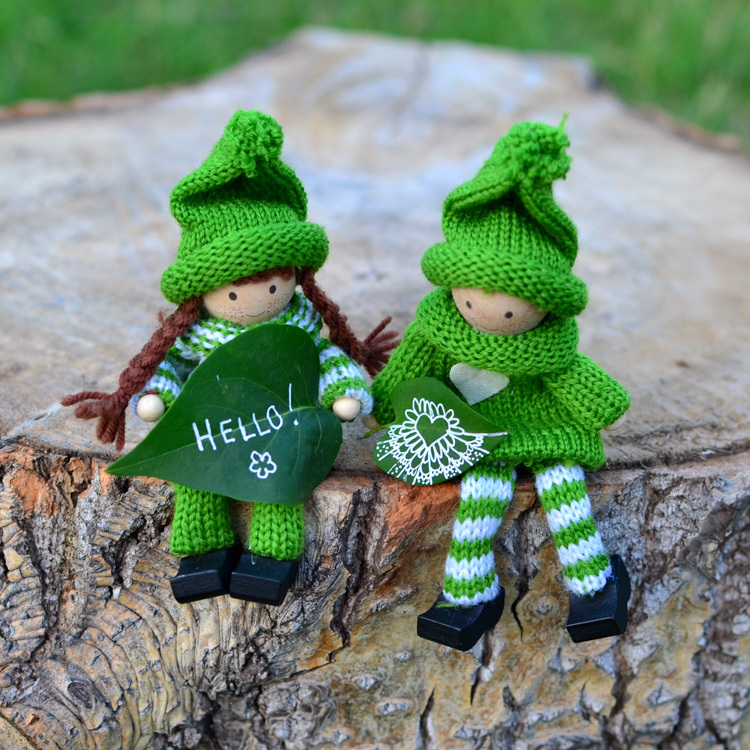 It was a lot of fun taking photos of the little elves here and there on the stump and on the grass! I also think it will be fun to hide them around the house. Of course, the elves immediately fascinated Anselm who wanted to play with them and operate their mailbox. 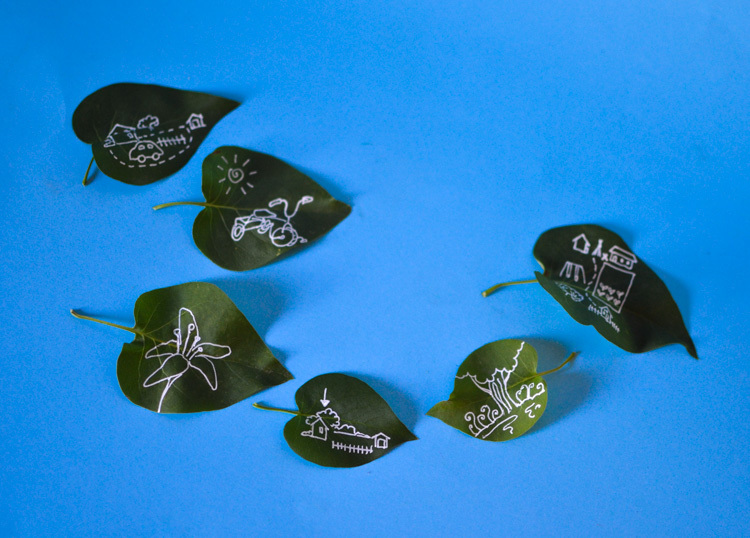 Once he figured how that worked, he wanted to write the response to the elves, and he had to do it on leaves too. That’s part of the fun, right? I quite enjoyed making all the doodles and messages. Made on leaves, they seemed very much like they came from the elven folk or some other magical creatures that live in the forests. 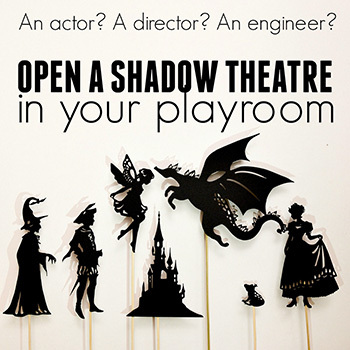 The post contains Amazon affiliate links to recommend the products we used. We used the white gelly roll pen for our messages and doodles. The ink dries in a couple of minutes. Dad unknowingly watered the garden where one of the leaf message was hiding, but when I found it and rinsed the soil off, the message was still there. It holds up surprisingly well! 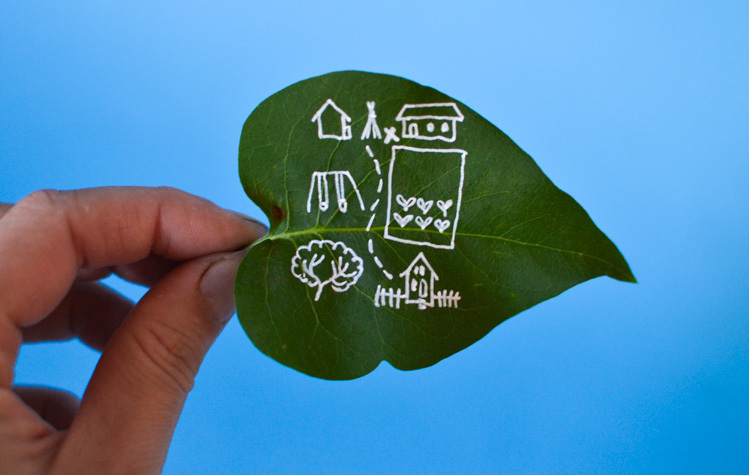 A sharpie marker would also work, but black on green isn’t as easy to read. Writing on leaves and keeping correspondence with an elf is a good way to practice writing for my preschooler, who has been fascinated with mail for a long time! I think that it’ll be a little game that both he and I will enjoy. 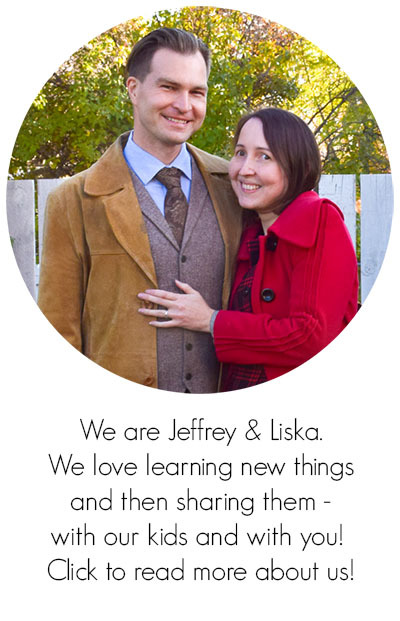 I am also looking forward to trying some new ways of showing kindness, inspired by the kindness elves.